Another season, another WEM version. The version numbering system in now in line with other newly released Citrix products. This version is 1811. You can now download the new version here (requires Platinum licenses and login to Citrix.com). I’ve provided the release notes below. I also have it on good authority that Citrix added Pumpkin Spice to this this version. Workspace Environment Management 1811 includes the following new features. For information about bug fixes, see Fixed issues. A Profile Management health status column is provided on the Administration > Agents > Statistics tab. As of this release, Workspace Environment Management supports performing automated status checks on your agent hosts to determine whether Profile Management is configured optimally. You can view the status in the column. Workspace Environment Management documentation is updated to reflect current product behavior. 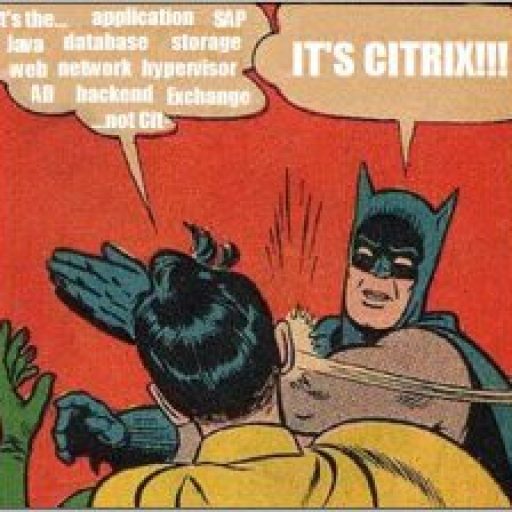 If you’ve been a Citrix customer or partner for a while, you’ll notice new names in our products and in this product documentation. If you’re new to this Citrix product, you might see different names for a product or component. Citrix Virtual Apps and Desktops: Citrix Virtual Apps and Desktops offers a virtual app and desktop solution, provided as a cloud service and as an on-premises product, giving employees the freedom to work from anywhere on any device while cutting IT costs. Deliver Windows, Linux, web, and SaaS applications or full virtual desktops from any cloud: public, on premises or hybrid. Virtual Apps and Desktops was formerly XenApp and XenDesktop. Citrix Workspace app: The Citrix Workspace app incorporates existing Citrix Receiver technology as well as the other Citrix Workspace client technologies. It has been enhanced to deliver additional capabilities to provide end users with a unified, contextual experience where they can interact with all the work apps, files, and devices they need to do their best work. For more information, see this blog post. Citrix Provisioning: The Citrix Provisioning is a solution for managing virtual machine images, combining previous technologies known as Machine Creation Services (MCS) and Citrix Provisioning Services (PVS). Citrix Provisioning was formerly Provisioning Services. In this release, product and component version numbers are displayed in the format: YYMM.c.m.b. YYMM = Year and month when the features are finalized. For example, if the features are finalized in August, a release in September 2018 appears as 1808.
c = Maintenance version (if applicable). m = Citrix Cloud release number for the month. b = Build number. This field is shown only on the About page of the product, and in the OS’s feature for removing or changing programs. For example, Workspace Environment Management 1808.0.1 indicates that the released product with features finalized in August 2018 is associated with Citrix Cloud release 1 in that month, and is not a maintenance version. Some UI elements display only the version’s year and month, for example, Workspace Environment Management 1808. In earlier releases of this product (Workspace Environment Management 4.7 and earlier), version numbers were displayed in the format: 4.version, where the version value incremented by one for each release. For example, the release following 4.6 was 4.7. Those earlier releases will not be updated with the new numbering format.